This page is dedicated to my visit to this museum on 20Sep07, when I prepared for the roadtrip which took me though Canada's Prairie Provinces and 'the Canadian Shield'. 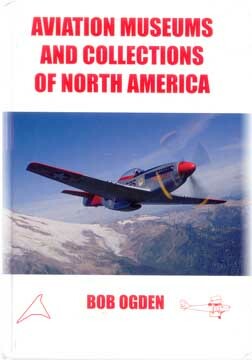 When I found the long list of aircraft in Bob Ogden's "Aviation Museums and Colection of North America", my mouth watered in anticipation of a visit to this museum. Unfortunately, the visit fell short of my expectations. Much of the collection is stored on various locations elsewhere due lack of space here at the museum and the selection on display is parked in such a cramped way that proper photography is not possible. Also the lighting used in this hangar gave strange colour casts to my pictures. My camera tripod had been damaged while travelling in my suitcase on the Westjet flight from Toronto to Winnipeg and proofed to be unservicable. So for photography I had to resort to higher ISO settings and my portable flashgun: not a good formula to photograph large items, such as aircraft, indoors. The Fokker Super Universal: only fair to start with this Dutch design, hailing from the Netherlands myself! This type of aircraft saw much use in the Canadian Arctic and Alaska, so it is quite fitting to see it prominently displayed here. The Fokker Super Universal was an airliner produced in the United States in the late 1920s, an enlarged and improved version of the Fokker Universal. It was subsequently also manufactured under licence in Canada and Japan. Like its forerunner, the Super Universal was a conventional, high-wing cantilever monoplane with a fully enclosed flight deck and cabin. Standard undercarriage consisted of fixed tailskid type with divided main units, but it was also available as a twin-pontoon seaplane. The Super Universal was received enthusiastically in the marketplace, selling better than any other of Fokker-America's designs (some 80 aircraft), and required the company to expand its factory space to keep up with demand. A further 15 aircraft were built by Canadian Vickers, and around 100 by Nakajima with some of these Japanese aircraft seeing military service as the Ki-6. The United States Navy also evaluated the Super Universal for military service, under the designation XJA-1, but decided not to purchase the type (the JA designation was later re-used for the Noorduyn Norseman). The Fokker Super Universal on show took to the air again in 1998 after a 17 year rebuild. Parts of three others, also recovered from crash sites, were used. CF-AAM has c/n 827 , according to Mr Ogden's reputable guidebook, but that book also shows a remark 'parts only' and while various other Super Universals are included in the collection (G-CASJ c/n 805, CF-ATJ c/n 853, CF-AJC c/n CV 138) I suspect CF-AAM is a restoration with parts of the other aircaft. Formed in 1972, the Manitoba Aircraft Restoration Group set abou tinvestigating crash sites in the province. Restoration work started in 1973 and one of the early projects was the rebuild of the first Canadian helicopter constructed by the Froebe brothers in Homewood, Manitoba. The numbers of enthusiasts grea and the idea of a museum was put forward. 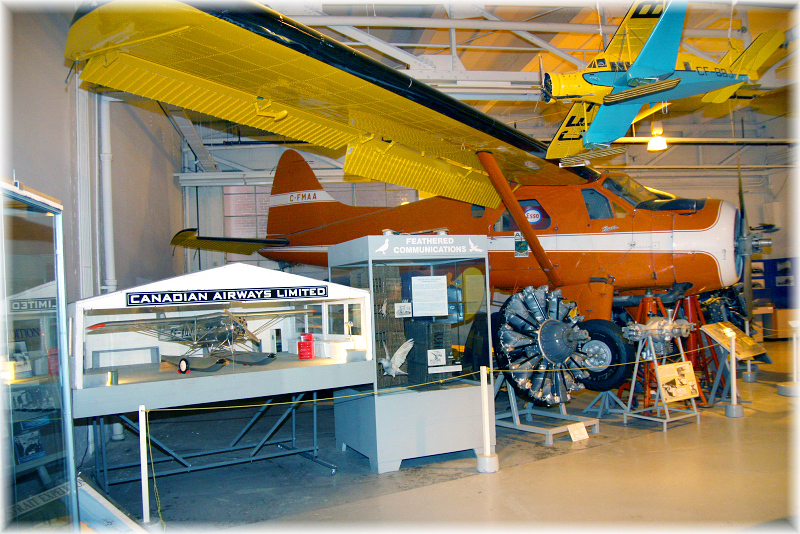 Thus in 1974 the Western Canada Aviation Museum was established. A small display was staged at a club in Winnipeg in 1974 with the aim of gaining publicity. An exhibition was opened in the city in 1979 and development has been maintained over the years. On 07Oct84 Her Majesty the Queen opened the new museum in a hangar originally used by Trans Canada Airlines in the 1930s and late 1940s. The museum now has a large storage facility at nearby St.Andrews Airport. One of the first searches carried out was at Carmorant Lake to locate the remains of Vickers Vedette flying boats which had operated on the area. 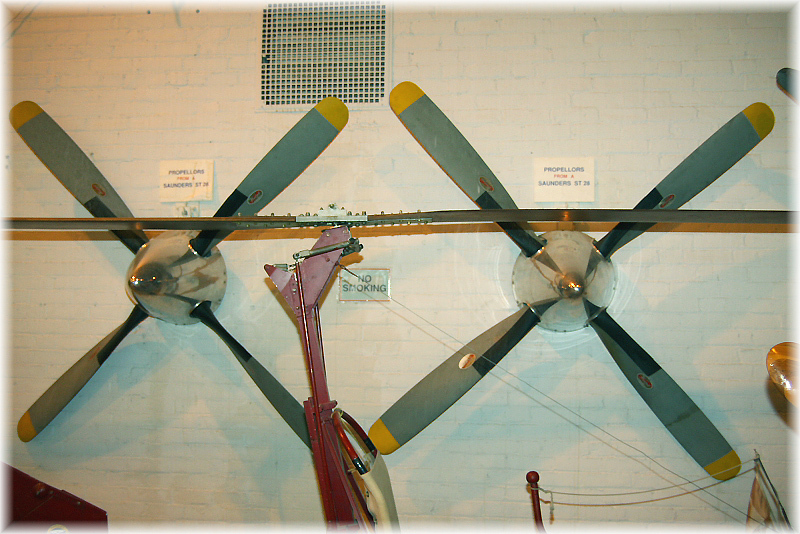 The components of two were found and some of these have been incorporated in the painstaking rebuild which the visitor can see in the Bush Plane Gallery at the rear of the hangar. The design was started in England and completed by Canadian Vickers. Sixty one were built in 5 versions. The Fairchild F-11 Husky was a Canadian bush plane, designed and manufactured in the post-Second World War era. Despite a promising design, a lack of a suitable powerplant hampered prospects and the type never gained a foothold in the marketplace. It is wonderful to see an example preserved here, although I learned from the staff that soon after my visit it had to make way for the Ghost of Charron Lake. C-GCYV is a fairchild F-11-2 Husky (F-11-1) with c/n 2 (former CF-EIL), while 2 more Husky's are listed as being owned by this museum: CF-BQC c/n 1 and CF-MAN c/n 9 (see 2014 photo on Photos by Friends & Guests page 48). Ah, the venerable Bristol 170 Freighter 31M! The personification of the kind of ruggedness required for cargo operations in Canada's Arctic North. This is CF-WAE c/n13219. The Bristol 170 Freighter 31 was also used by Lambair in these parts and Wardair used this type of aircraft from its base Yellowknife (CF-TFX is preserved there). CF-WAE was built in 1955 for the RCAF. It carried F86 Sabre Fighter Jets and Helicopters from bases in France and Germany to overhaul facilities in the U.K. It was purchased in 1967 by Wardair to carry freight around northern Canada, mainly to the DEW Line of Radar Stations. 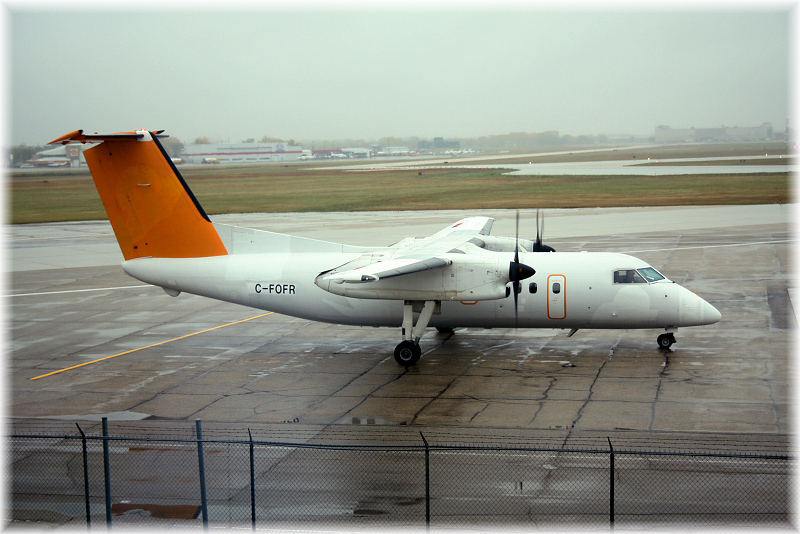 It was sold to Norcanair in Saskatchewan, where it operated until 1983. Norcanair then flew it to Winnipeg and donated it to the Western Canada Aviation Museum. More photos of CF-WAE in the gallery selection, link on bottom page. Now this is a unique survivor: Junckers Ju.52 'CF-ARM'. This is a replica of the JU-52/1M which was operated by Canadian Airways Ltd. in Winnipeg from 1931 to 1942. The actual CF-ARM was used to supply mining and other operations in remote areas with equipment that was too big and heavy for other aircraft then in use. The aircraft could lift approximately three tons. The Junkers JU-52/1M CF-ARM was able to fly on wheels, skis or floats. operated from the Red River at the Canadian Airways Brandon Avenue base. 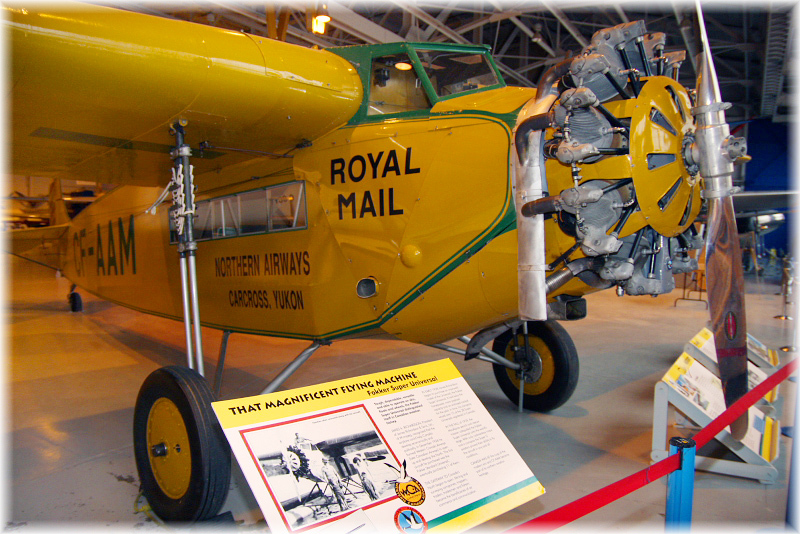 It was the largest single-engined aircraft operating in Canada, and was affectionately known as the 'Flying Boxcar'. The Junkers 52 is a German aircraft and over 5,000 of the type were built in the 1930s. All but the first six were built with three engines, and designated the JU-52/3M. The JU-52/3M was in service in 1932 as an airliner in 29 foreign countries on scheduled routes such as Berlin to Rome or to London. The three-engined versions were never flown in Canada, but provided the backbone of the Luftwaffe Air Transport Force during WWII. When CF-ARM was brought to Canada, it was fitted with a 830 hp Rolls Royce Buzzard. It remained in service until 1943; the last two years were with Canadian Pacific Airlines. 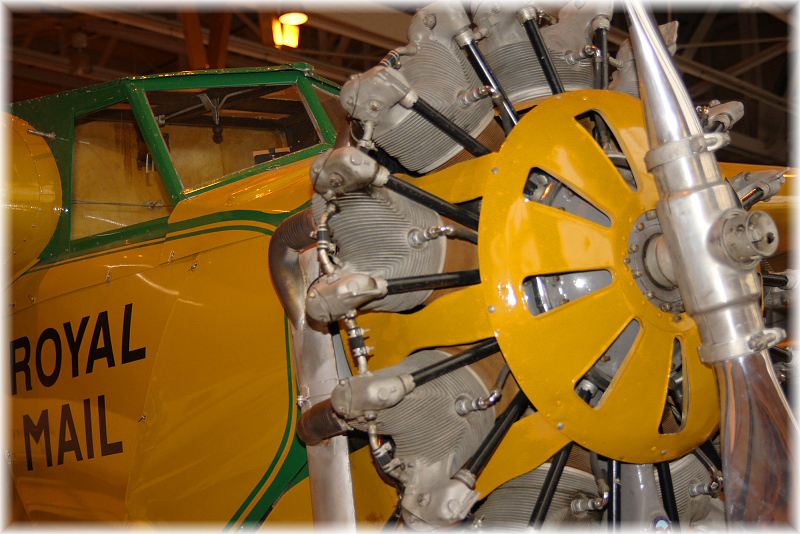 Many pioneering airlines flew in Manitoba in the inter-war period using a variety of aircraft. The museum has recovered a substantial number of airframes and eventually a comprehensive display of types which played significant roles in the development and exploration of the region will be staged. The archive section includes many photographs and taped interviews with pilots from this period. In 1985 a replica of a single engined Junkers Ju 52 was unveiled. Five examples of the design, which later became famous in its three engined version, were built. The last was delivered to Canadian Airways at Winnipeg in 1931 and flew until 1942. After a long search the museum located a Fokker Universal at the bottom of Charron Lake. The Western Canada Airlines aircraft had landed on the frozen surface in a snowstormin Dec.1931. The substantially complete airframe was found in 2005 and raised during the summer of 2006. This superb collection of aircraft and artefacts has made significant progress over the last 30 years. 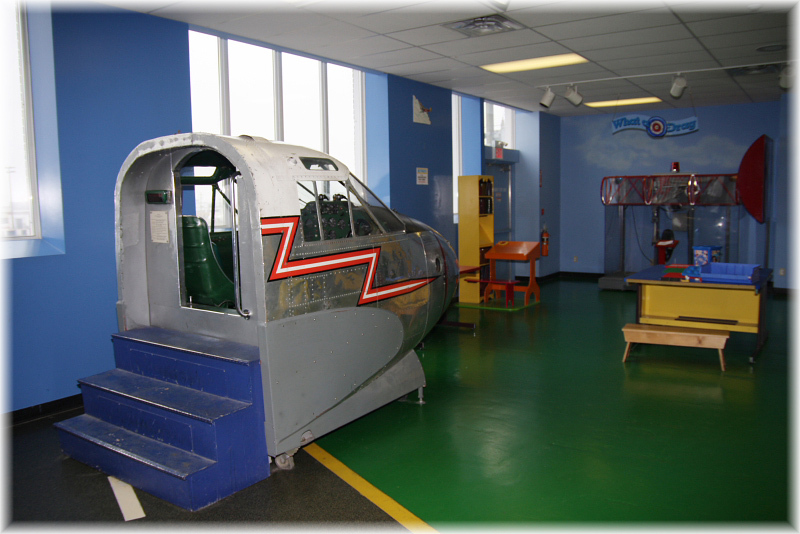 The bushplane gallery sits in a seperate section and displays a variety of aircraft, miniatures, memorabilia, diorama's, etc. With great care for details the pioneering days (though much of the traditional style survive to this day) are put on display here, but it was in this section I struggled with the colour cast of the lighting the most. CF-FQA is a Fairchild 24W40 Forwarder (UC-61) c/n W40-120 (ex/ 42-94147 and NC41844), a type of aircraft I must admit I did not know of until I saw it here displayed. The Fairchild Model 24, a four-seat, single-engine monoplane light transport aircraft, was used by the US Army Air Corps as the UC-61. 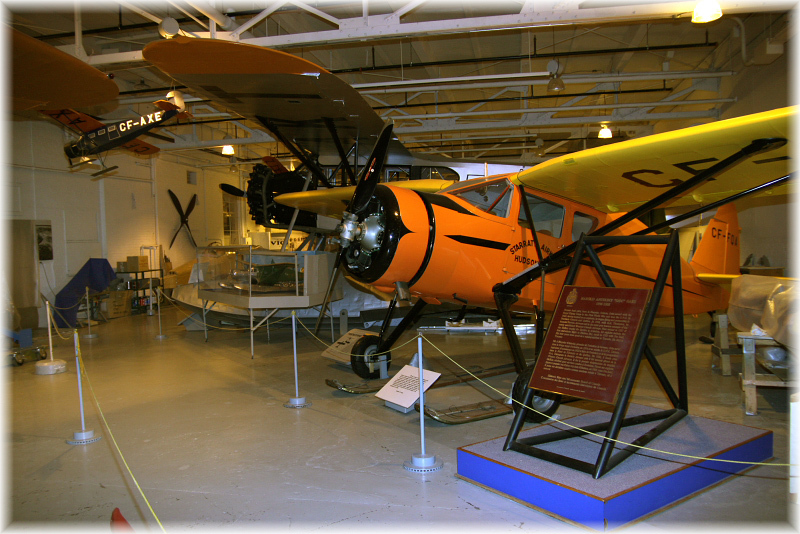 Fairchild Aircraft was hit hard by the Great Depression in the early 1930s as airline purchases disappeared consequently the company attention turned to developing a reliable and rugged small aircraft for personal and business use. The model 22 became somewhat of a hit and led directly to the new and much improved Model 24 which gained rapid popularity in the early 1930s, noted for its pleasant handling characteristics and roomy interior. Production ran continuously from 1932 to 1948. This type of aircraft needs no introduction: DeHavilland DHC-2 Beaver. C-FMAA (c/n 1500, ex/ CF-MAA) sits in a cluttered display. 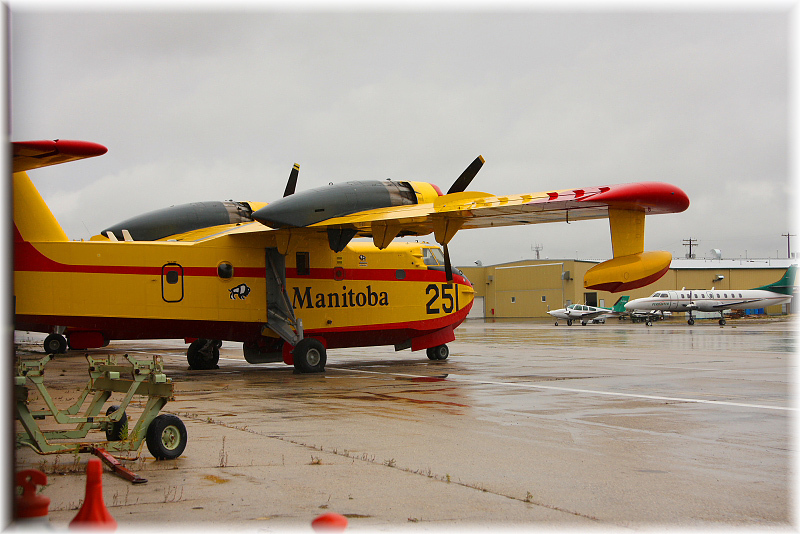 It was donated to the museum by the Manitoba Government Air Services. Over the years, 1,962 Beavers were built and exported to 62 countries, including 981 to the USA for both civil and military use. Many are in continued commercial use, including a turbo-prop variant. The Stinson Reliant was introduced in 1936 and could accommodate a pilot and four passengers. 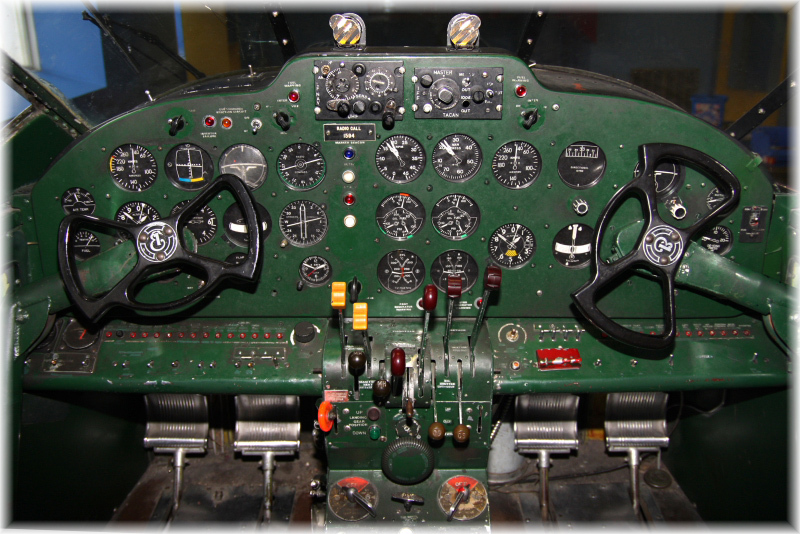 It was manufactured by Stinson Aircraft Corporation in Michigan. The gull-wing Reliants were very popular aeroplanes and more than 1,000 of them were built before WW II. The fuselage, tail surfaces and wings were of welded steel-tube construction - typical of the period. The whole framework was covered with cotton fabric. 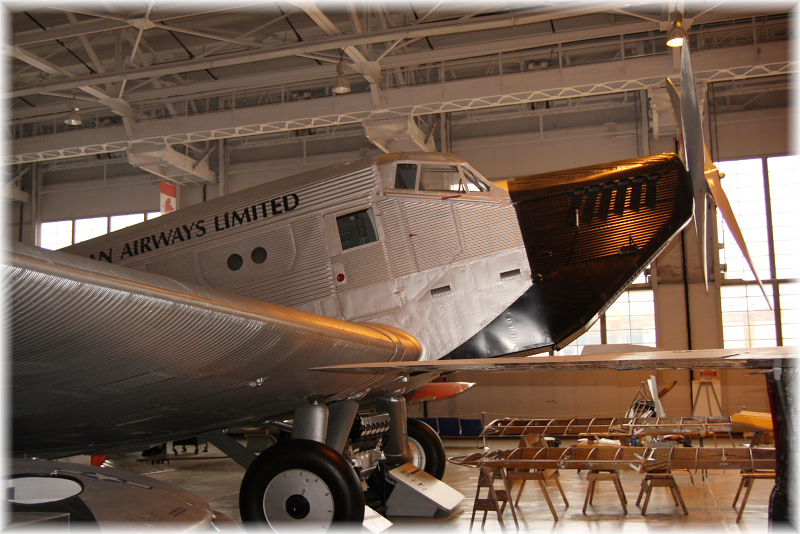 The aircraft on display at the Museum was owned by Canadian Airways from 1936 to 1941, when ownership was passed to Canadian Pacific Airways. This aircraft spent most of its life flying from Winnipeg and Lac du Bonnet, Manitoba. It was donated to the Museum by the Richardson Foundation. Note the canoe tied for transport onto the outside; this is still the way to do it for such outsize items. 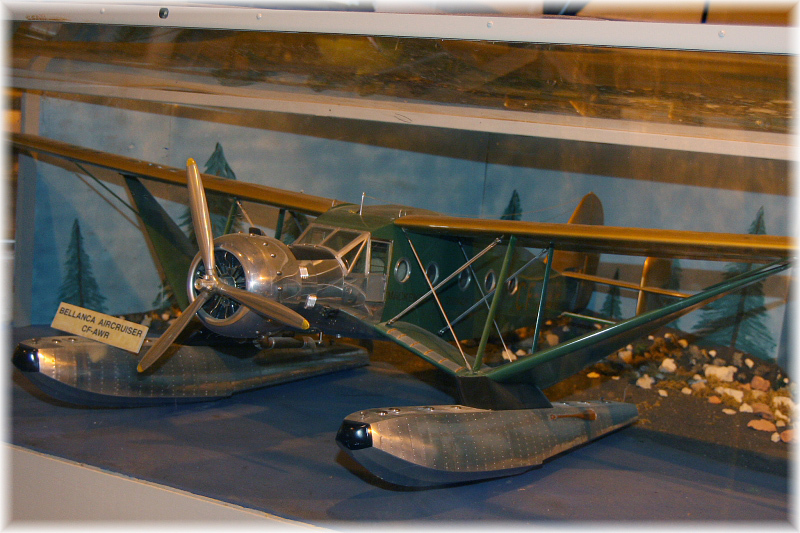 The Bellanca Aircruiser is represented by a miniature, depicting CF-AWR. A full-size CF-AWR (c/n 719) is under restoration. The first Bellanca Aircruiser was built in 1930. An efficient design, it was capable of carrying 12 to 14 passengers depending on the cabin interior configuration, with later versions carrying up to 15. Twentythree were built. 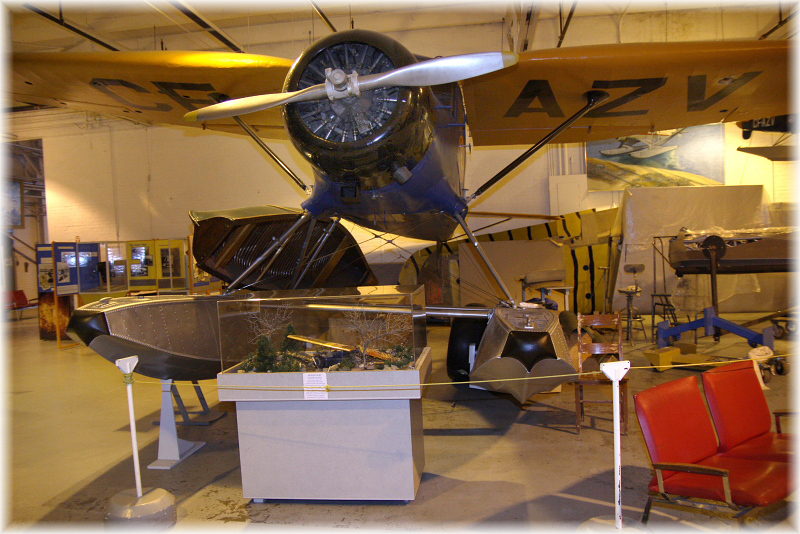 Wikipedia features a photo of this museum's Bellanca Aircruiser under restoration (2006). During the fall of 1932, Leigh Brintnell formed Mackenzie Air Services and S.R. "Stan" McMillan and Matt Berry were the first two pilots hired in March of 1935. Leigh and his wife delivered the brand new Bellanca CF-AWR to Edmonton and Stan became its main pilot on its northern runs between Edmonton and Great Bear Lake from 1936-39. The aircraft was christened with the impressive title "Eldorado Radium Silver Express". During the period 1936-1939 she was flown on the Eldorado operation by the well known bush pilot, Stan McMillan. 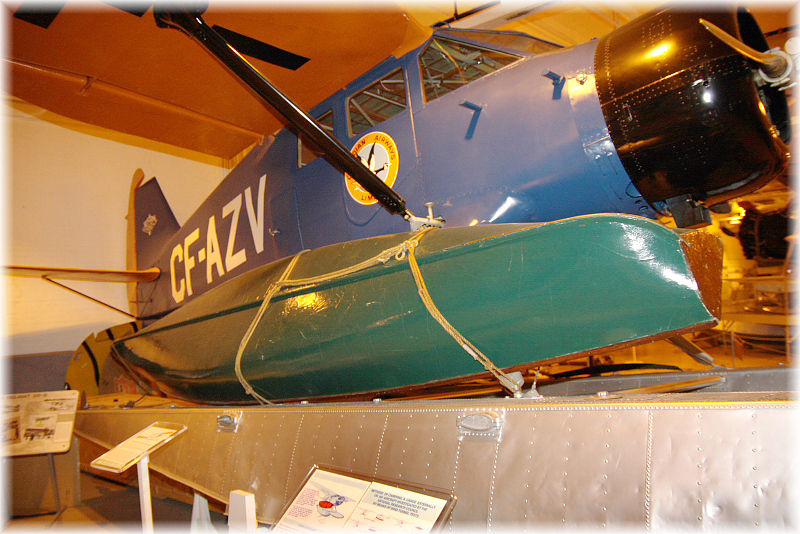 After service in Canada for twelve years CF-AWR met its end in 1947 on the shores of Upturned Root Lake, 200 miles northeast of Sioux Lookout, Ontario. 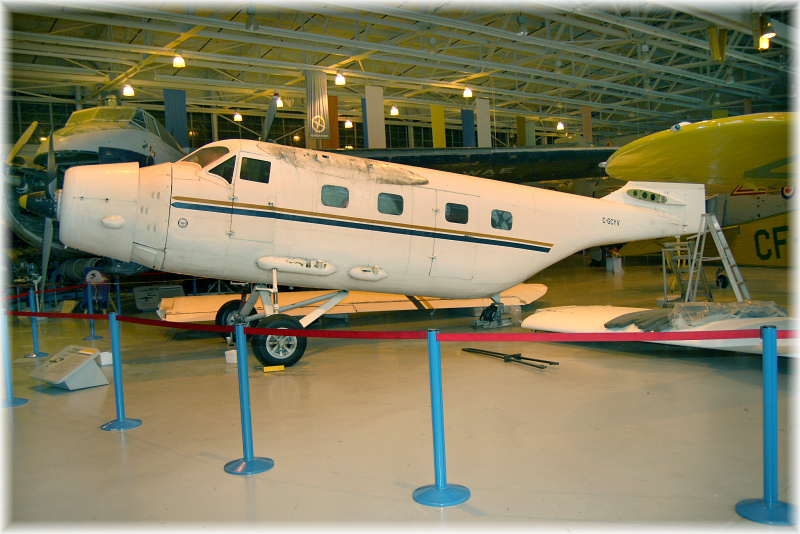 In 1973, the wreckage was recovered by the Western Canada Aviation Museum in Winnipeg. 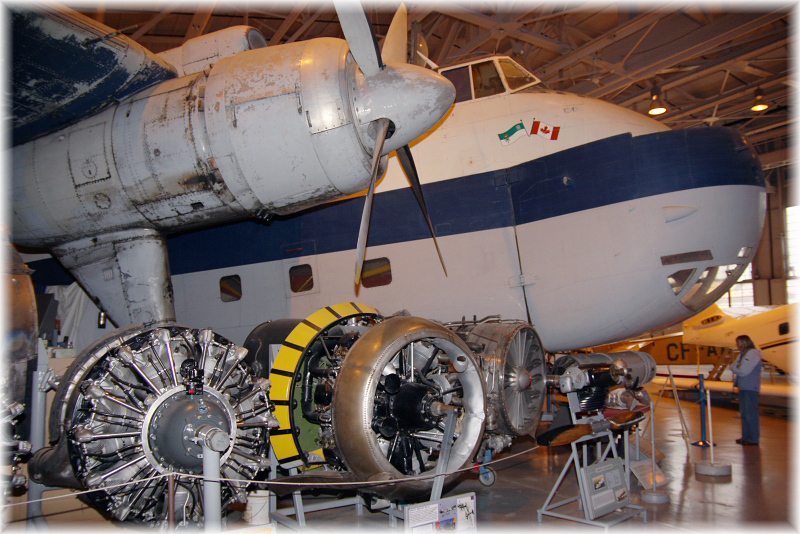 The museum plans to restore the aircraft using some components from the remains of another Aircruiser, CF-BKV, that had struck trees and crashed at Smoky Lake, Manitoba on the 06Oct1949. Upstairs is a lounge area with a soda machine and one can enjoy a view over an operational ramp (see below). Unfortunately, the aircraft on display inside the hangar cannot be viewed from this area nor from any elevated platform inside the hangar. The photo shows an area, next to the lounge, for children to explore and run around. While I was there it was deserted. In fact, I had arranged to meet my friend Phil Gies here, and we became so engrossed in conversation that when we left only a few minutes after scheduled closing times, I found the staff had left and forgotten all about us! This Canadair CL-215 sat outside the museum but since the ramp is part of the actual airport I could not be allowed access onto the ramp. Actually, if I remember correctly, I think there were two. By holding my camera over my head and over the barbed-wire fence, I managed to fire off some photos. Tanker 251 is CL-215 C-GUMW (c/n 1065). During the season they are based at Gimli, I think. Dehavilland DHC-8 C-FOFR (c/n 317) registered 06Nov07 to Perimeter Aviation, operating devoid of any markings when I photographed it on 20Sep07. Photographed from the museum's upstairs lounge . Boeing 727s are becoming more rare these days, but rather more complicated to accommodate such a large jet in a museum! 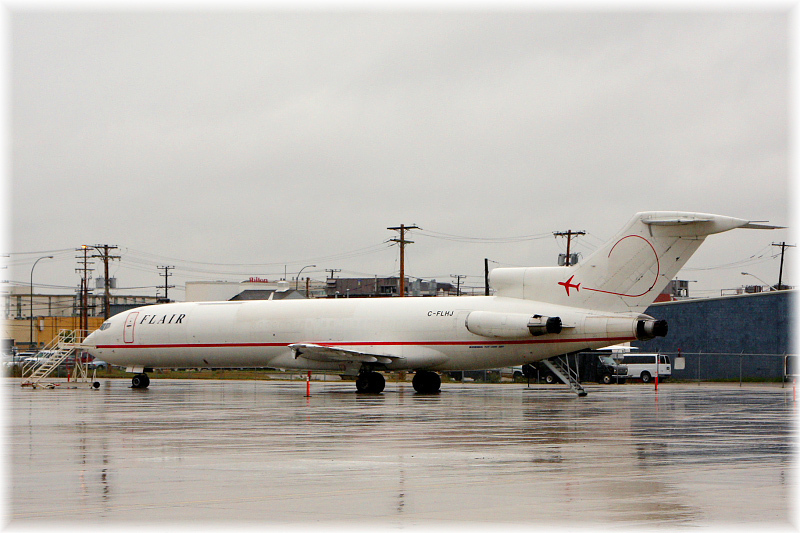 The time to put C-FLHJ, Boeing 727-281 c/n 24155, into a museum hasn't come yet; it was registered to Flair Airlines Ltd on 16Dec05 and seems to be based in Kelowna,BC. It was photographed on the ramp across the museum.